The mighty S.S. Edmund Fitzgerald was launched into Detroit, Michigan’s Rouge River on June 17, 1958, before an assembled crowd of thousands. Named for the board chairman of the Northwestern Mutual Life Insurance Company, of Milwaukee, Wisconsin, she was the largest bulk carrier on the Great Lakes. On November 9, 1975, the Fitzgerald was to transport a cargo of iron ore pellets from Superior, Wisconsin, to a steel mill on Zug Island at Detroit. In the years since her mysterious sinking in Lake Superior on November 10, 1975, the story of the Edmund Fitzgerald and the 29 men who sailed with her into the unknown has been launched into enduring myth. 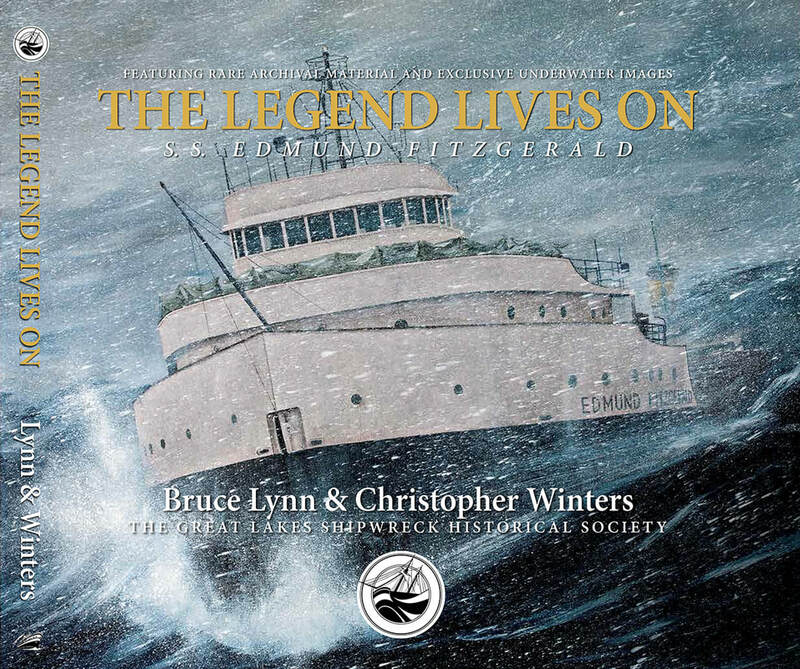 Drawing from rare archival material and exclusive underwater images of the wreck site, The Legend Lives On is a richly illustrated meditation on the remarkable life and tragic loss of a ship now woven inextricably into the fabric and folklore of North America’s inland seas.